Many people fear that addiction treatment programs aren’t able to do all they initially set out to do; especially ones that promise to cure your addiction in a very short time. Addiction is a mental disorder that affects as many as 20.2 million people in the United States, according to data collected by the Substance Abuse and Mental Health Services Administration in 2014. Not sure which rehab to go to? JCAHO rehabs are held to higher standards, ultimately proving you with better care for addiction. The success of a treatment can be reliant on the effectiveness of the treatment center. But how do you know if a rehab is following the right guidelines? The JCAHO medical abbreviation refers to the non-profit organization that was created to set specific guidelines that must be adhered to in order for treatment to have the desired effect. JCAHO stands for the Joint Commission on Accreditation of Healthcare Organizations. 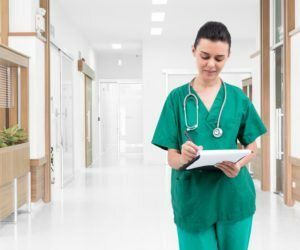 JCAHO accredited rehab facilities must follow strict guidelines on staff qualifications, safety and specific programming practices among others. For JCAHO rehabs to become accredited, JCAHO representatives visit the facility to run several tests and inspections. These inspections happen continually even after the JCAHO rehabs have been accredited to ensure the high standard levels are maintained. What Standards must JCAHO Accredited Rehab Facilities Meet? Patient safety, both during detox and throughout the program. The level of care each patient gets. How well is accident prevention handled? Professional services and care offered, such as dual diagnosis treatment. How the rehab handles an emergency. What infection preventions are in place? How the rehab handles its personal records. Is there professional management of the medications used in recovery? Why is JCAHO Accreditation Important? Addiction is a serious mental disorder and if it isn’t properly handled and treated, it can be life-threatening due to overdose after a period of sobriety. The standards that are set out by JCAHO is there to ensure that patients receive the critical care they deserve. With elements such as treatment planning, OTP services and outcomes, diversion control plans, individually-focused care and medication handling, addiction can be beaten. When a person decides to receive treatment for a mental disorder such as addiction, they are placing themselves in a vulnerable position. A person’s life can literally be on the line, especially when going through more dangerous detoxes such as alcohol detox. You trust the facility with your life and future well-being, and such treatment is often costly. A JCAHO accredited facility is also able to safely administer medications that are often a crucial part of addiction recovery. Accreditation provides the patient with peace of mind because they know that all of the safety protocols are in place to prevent and handle any situation that may occur during recovery. Furthermore, only around 19 percent of rehabs in America meet these high standards so knowing whether a rehab has the accreditation is important since most rehabs don’t. WhiteSands is one such rehab that meets the higher standards of addiction treatment. As such, they are able to provide the highest level of care that is both safe and effective. Give WhiteSands a call today at (877) 855-3470 to discover how they can assist you.